Gadgets and Coffee: The Keurig 2.0 system. 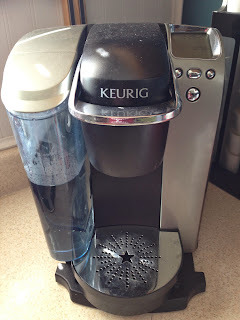 I have owned a Keurig coffee maker now for a few years, it wasn't my first choice for single cup brewers, but it's where I ended up. When I decided I wanted a single cup brewer (I am currently the only coffee drinker in the house) I looked at the available options and decided on the Tassimo system. If you have looked at this website at all you know I really like electronics, gadgets, and stuff. I have almost completely moved from paper-books to e-books, I get my entertainment online, most of my communication is done on a mobile phone. I even read most of my magazines in digital format now. There is one analog, physical object that I still use regularly; the Newspaper. My previous post in this series, A trek into the Treks: Star Trek: Enterprise was a long time ago. I hadn't realized it had been that long and I thought I should write the next installment before I forget all about ever getting back to it. 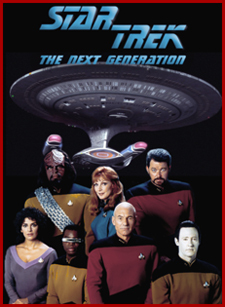 While I grew up watching Star Trek (TOS) and The Animated Series in syndication I really consider The Next Generation (TNG) to be my Star Trek. It was the first Star Trek I actually watched first run and there is something to be said for having to wait a week between episodes. Not already knowing what is going to happen before you watch it because no one (outside the crew) has seen it yet. At the time, it was so modern looking, so smooth and polished (Corinthian leather comes to mind) though lets not look back at it now, it seems even more dated than TOS does now. In my previous post about J.R.R. Tolkien I wrote about The Hobbit and how it began what eventually became a deep love of faerie and fantasy stories. I was originally planning on writing about The Lord of The Rings next, but lets face it, everyone writes about Lord of The Rings and what more could be said on the subject. I will get around to writing my impression eventually but today I would like to look at his less well known work. I say less well known but really that's only to the world at large and not to Tolkien fans. Fans of his work know these stories as well as they do The Hobbit or Lord of The Rings. I can't believe it's been this long since I wrote anything here. I have plans for a couple more Star Trek Posts, another Tolkien post, and a few other scattered ideas and I don't know why I haven't gotten to them yet. I will start working on those this week but for now I have a few things I wish to vent here where nobody is going to see them. I have said since the beginning that I don't want this blog to be a rant-fest. I would rather talk about things I like and share them with anyone who comes here. There are, however, a few things though that have been bothering me for some time and I need to vent them out so that I can move on.